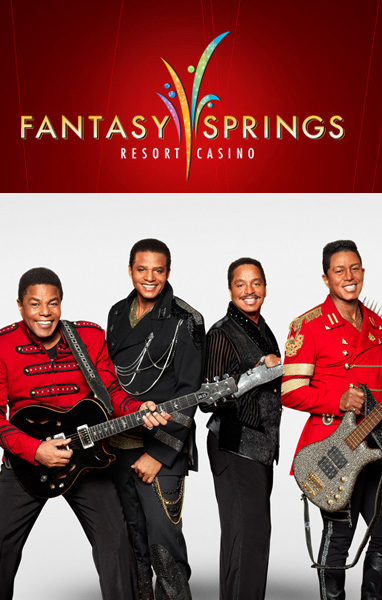 Quite possibly the most recognizable family in music history, The Jacksons celebrate the 50th anniversary of the Jackson 5 by heading out for a 2015 tour and stepping on stage at Fantasy Springs Resort Casino on Saturday, February 28th. 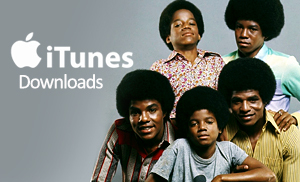 This special performance features video footage that chronicles the evolution of The Jacksons! Consisting of original members Jermaine Jackson, Tito Jackson, Jackie Jackson and Marlon Jackson, The Jacksons put on an amazing show that includes all of their mega-hits made famous with their brother, Michael Jackson. The Jacksons are inductees into the Rock and Roll Hall of Fame, have five #1 albums, 18 #1 hits, 17 top 10 albums, 17 top 40 singles which include their most notable songs such as "ABC", "I Want You Back", "I'll Be There", "Rockin' Robin", and so many more!